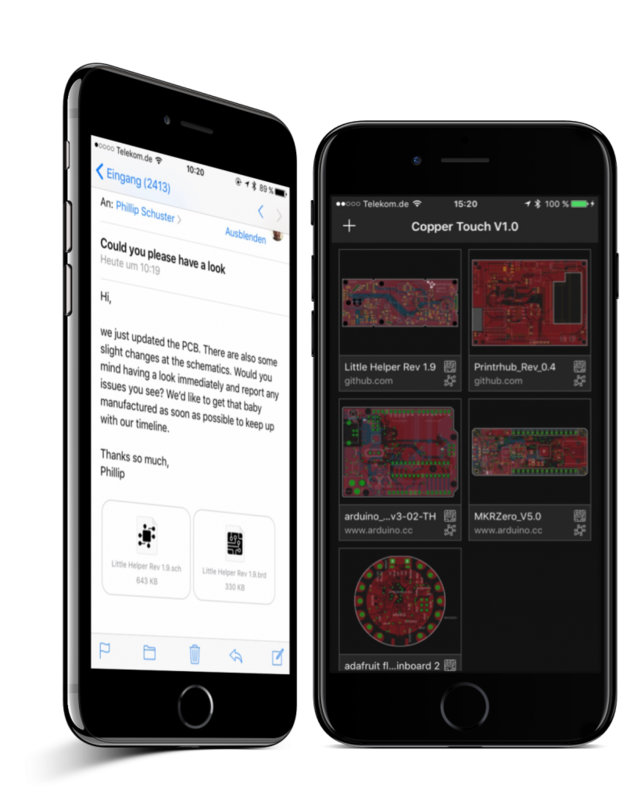 Open EAGLE files on your iPhone or iPad and use it as a reference while soldering your PCBs. Create gorgeous 3D renderings for your webpage and social media. Touch your PCBs before you get them manufactured. 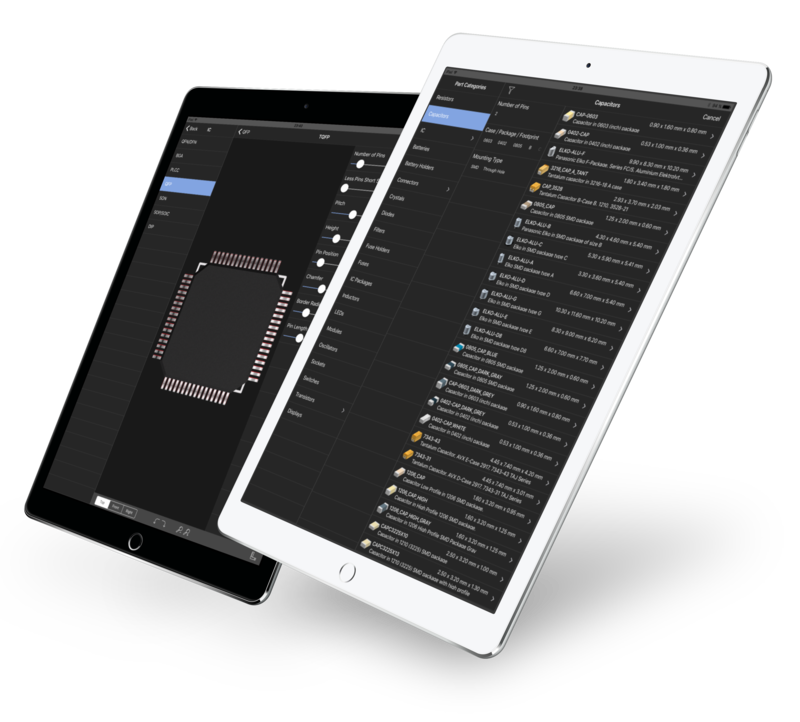 Did you ever want to examine that new project on Hackintosh, or did you ever struggle looking at large PDFs with Schematics while on the move? No more. 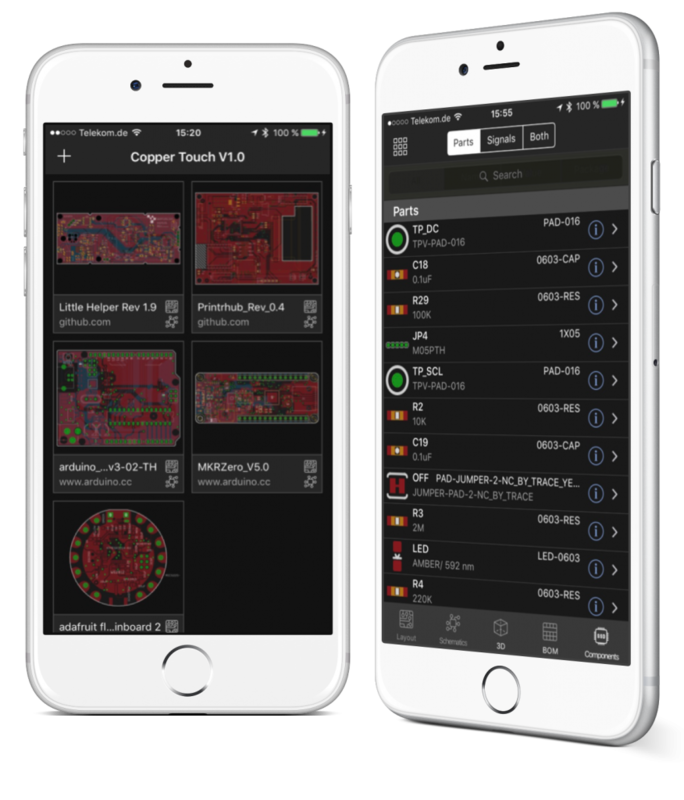 Copper is the EDA software for your palm. 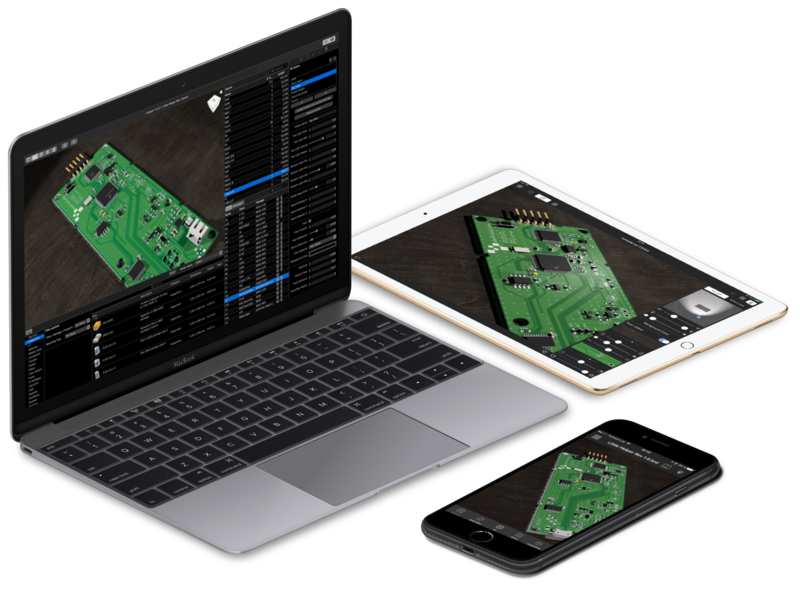 Add any EAGLE based file to your library and examine and visualize PCB layout, Schematics, parts and signals all in the palm of your hand. 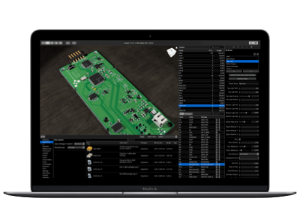 Our rendering engine creates photorealistic 3D scenes of your PCBs complete with parts, lights and textures and allows you to play with your PCB in real time. Adjust camera position, solder mask, lights, shadows and export images for social networks or your next pitch. 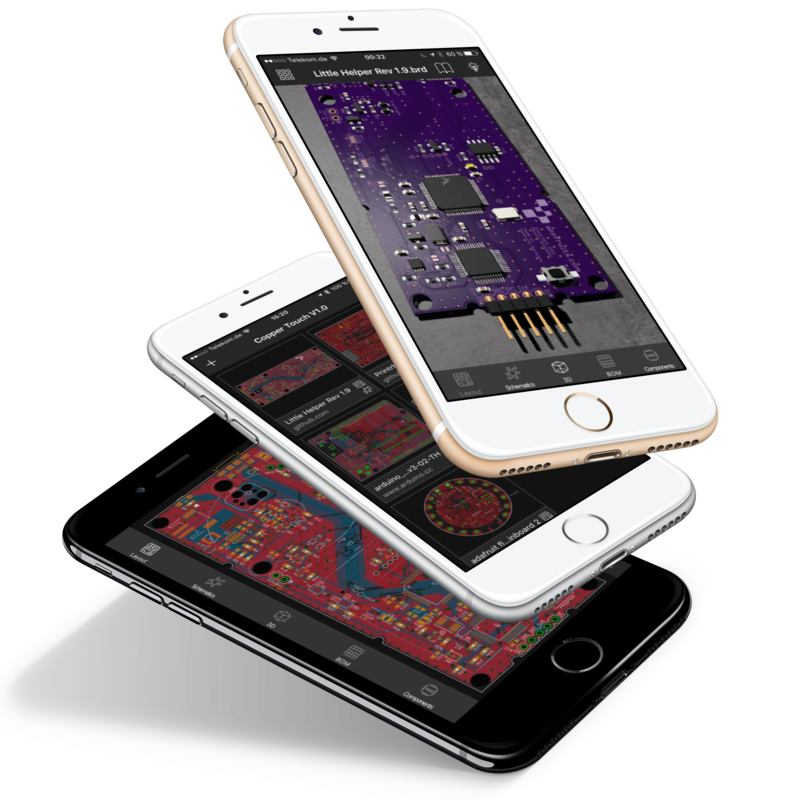 Copper uses modern GPU technology built into your iPhone and iPad to render your PCB in 3D. You can change solder masks, lights and rotate, zoom and adjust the camera angle. Copper takes care of every little detail of your PCB. 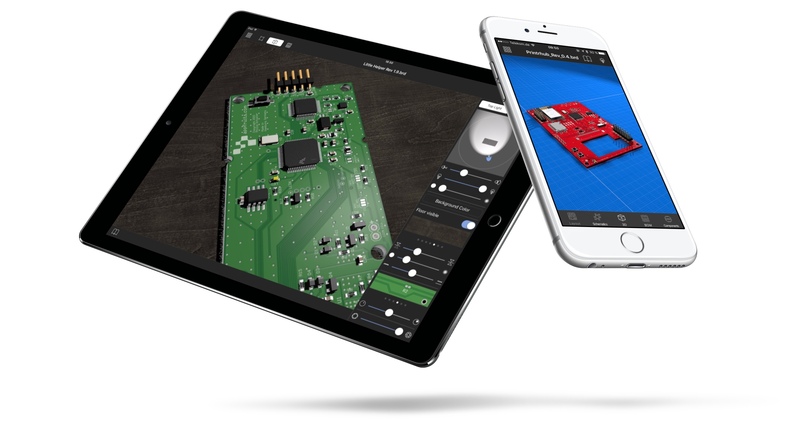 You just have to assign 3D models from our extensive 3D model library to your footprints and you can start playing around with your virtual PCB. Copper comes with an extensive 3D part library and each day new parts are added by the community. Common parts are typically available. With the macOS version of Copper you can even import and upload your own STEP-models which are then available on the iPad App, too. Never search for that specific 3D model for your QFN that fits your pitch and pin count. Copper has built in procedural part generators. This system creates 3D models of parts automatically. All you have to do is adjust some values like pitch, height and number of pins. You just have to assign a 3D model to your EAGLE footprint and sometimes you have to adjust part rotation and vertical position with a few touch gestures and real time preview. Copper comes with an extensive document library on iOS. Install EAGLE files from your Dropbox, Github, Aisler or any other webpage. Either download a ZIP file that contains both layout or schematics files or download each file individually. Copper will take care of combining the files in the library into one document. For the first time you can have a look at EAGLE files on the go that you received via email, iMessage, Airdrop or any way of getting content on your iOS device. Copper reads and visualizes nearly every bit that is stored in the EAGLE files. This makes it easy to learn from other designs while on the go, or analyze your own PCBs for errors and issues. 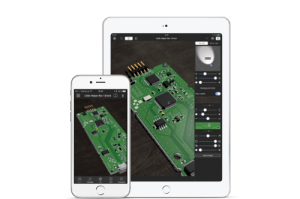 Copper uses Apples latest technology to render your PCB layouts in a quality you have never seen before. Scale in with a pinch, use the magnification loupe to select signals and parts to assign 3D models or examine them in the part or signal inspector. You can disable rendering of copper pours or disable rendering of everything on the bottom layer. No need to disable all that b... layers to just see the top layers. Of course you can toggle individual layers. Looking your board from the bottom is not possible in EAGLE. You always have to wrap your head around that and try to imagine what it would look like if you would see the board from below. In Copper, it's just a tap away and everything is flipped so you can really see the board from below. Copper saves all it's settings in a separate file (.cop) and keeps your EAGLE files untouched. Quickly share your 3D and BOM settings with your team or the community by providing the single Copper file. Add EAGLE files from various sources like Dropbox, Github, Aisler or any webpage. 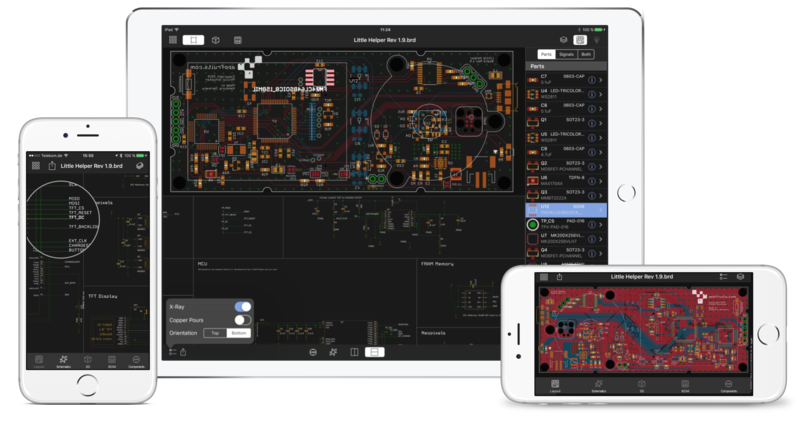 Even preview and open your PCB and Schematics from email, iMessages or Airdrop on your iPhone or iPad. Quickly analyze and view your BOM and export it as a CSV file to quickly order parts at your favorite distributor. You can inspect signals in the inspector and see which parts are connected with which pin to that signal. This way you can make sure all parts required are connected to the MISO and MOSI signal for example. And even make sure it's the correct pin with a quick glimpse. When panning over the screen the signal or part that your finger is currently touching is highlighted in both the schematics and layout. Another way to quickly see if everything is connected as it should. We believe in Open Source and Copper would not have been possible without the great work other developers gave away for free. Thank you very much for all your hard work. A list of all libraries used in Copper can be found here.